Just looked at this for the first time (thanks to a commenter suggesting it). Looks like it uses the same idea as the fitbit and Sleep Cycle; motion tracking to assess your sleep cycles. It’s sound tech, and works well in the two I’ve tried out. 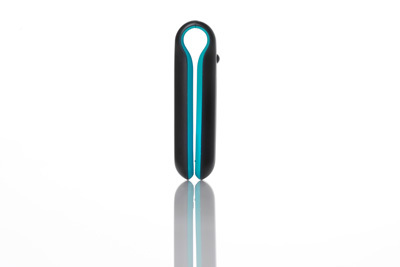 The UP is more of a direct competitor with fitbit, seeing as it also works for tracking movement during the day. Which makes me wonder just how they’re tracking movement, seeing as the Jawbone UP is on the wrist. I don’t know about you, but I move my wrist an awful lot more during the day than I move most of the rest of me (ah, the sedentary life of a writer). Seems likely that there’s some communication with the iPhone to help with that. That last one is actually of tremendous interest. With both Sleep Cycle and the Zeo, which do the same thing with varying levels of accuracy, you have the issue of potentially waking your partner at an inopportune time. Since they both use sound, it’s really impossible to wake only one person. I can’t tell you the number of times the alarm has gone off waking one of us at exactly the wrong moment, thereby leaving us groggy the rest of the day. 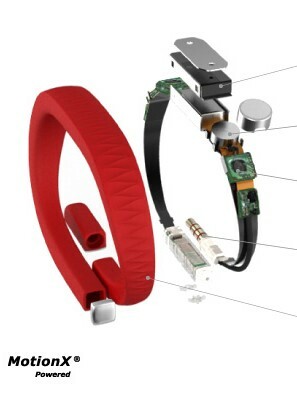 Jawbone UP looks like it might solve that particular problem. Hard to know, not having experienced it and therefore not knowing if the vibration would be enough to wake me. (I’ve been known to sleep through sizable earthquakes). The idea of a dawn lamp really still seems best to me. And if anyone finds a way to connect that to the Zeo (or, heck, any one of these sleep trackers) I’m so totally there. From what little I’ve seen in commentary, there may be a question of sturdiness with the UP. But then, I found that the fitbit tended to crack (both fitbits I’ve had did this, which makes me wonder at the customer service response saying they’d never seen that before, but they would–and did–replace my broken fitbit). For that matter, the Zeo started malfunctioning a few months ago, and since then it’s been gathering dust on my dresser. Sleep Cycle is, at this point, the only one I’m using every night. Though it is the least accurate of the three. It’s the easiest. The UP weighs in at a solid $99, making it equivalent to the fitbit in terms of cost. Mom’s radiation is over. Tremendous relief coupled with some amount of emotional collapse. Went back on sugar over last weekend when we went wine tasting. Went off SCD (see previous line). Ran out of Welbutrin (sort of). Did have a few pills left that were not extended release. Problem was, I forgot to take the second dose in the afternoon. Back on full dose as of yesterday. CPAP has sprung a whistle. The intake is whistling like mad whenever I use the CPAP. It’s bad enough that neither J nor I can sleep through it. I futzed around with my CPAP settings the last two nights (yeah, yeah, I know patients aren’t supposed to hack into the Clinician’s Menu, but I’m nosey). Which helped a little. 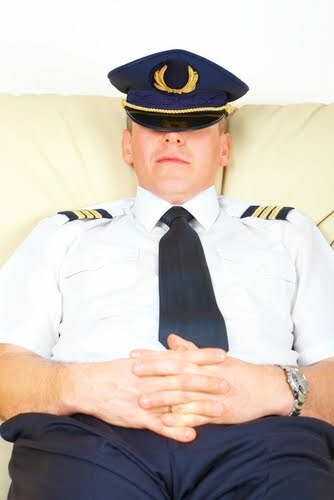 Lower air pressure, lower whistle. Sadly, I’ve come to the conclusion that the setting my doc had me on was probably correct. My AHI was not so good on the lower pressures. And the pressure average, come the morning, was always very close to the max pressure. Crazy hormone nonsense. Have I mentioned I have crazy hormone nonsense going on all the time? Yeah. I’m increasingly tempted to go back on the pill just to have it all STOP. But that has its own repercussions. Today, off to the DME to see if they can fix the whistling issue. And then back to work in rush hour. Things are okay. I’m just tired. Another interesting thing to do with a Zeo: make your partner wear it. Particularly if your partner, like mine, complains about being tired all the time and thinks you’re the cause because you always want to go to bed late. Turns out, his sleep when I’m next to him is actually better than when I’m not. Also turns out that me waking up regularly throughout the night doesn’t actually register with him. Instead, we have learned that his sleep is very disturbed and he gets a very tiny amount of deep sleep. Hopefully this is something easily dealt with. Hopefully it’s not his sleep apnea coming back. He had a surgery before I met him that supposedly dealt with it. Certainly made him feel better. It was not the UPPP nor the MMA, but I can’t recall the name of the procedure at the moment. It did involve restructuring his soft palate and removing the uvula, but it also involved other steps I’m not recalling. There are tons of different sleep aids out there. Some work, some are complete snake oil. Expensive snake oil, at that. Lord knows many of us have bought plenty of it. Here are some things that do work. Not all of these items actually help you get to sleep. Some help you wake up at the right time or in the right way, which kinda goes hand in hand with that whole trouble sleeping thing. 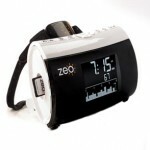 If your goal is accurately tracking your sleep, the Zeo is your best bet. Let’s look at why. The tech on the Zeo is completely different from the actigraphy of the fitbit and Sleep Cycle. Instead of focusing on movement, and then deducing sleep phases from that (which is helpful, but has a greater margin of error), the Zeo focuses on brainwaves. Based on the same tech as EEGs, it tracks the phases of your brain activity. Well, it tracks the electrical impulses of your brain activity and then deduces from that your sleep phases. 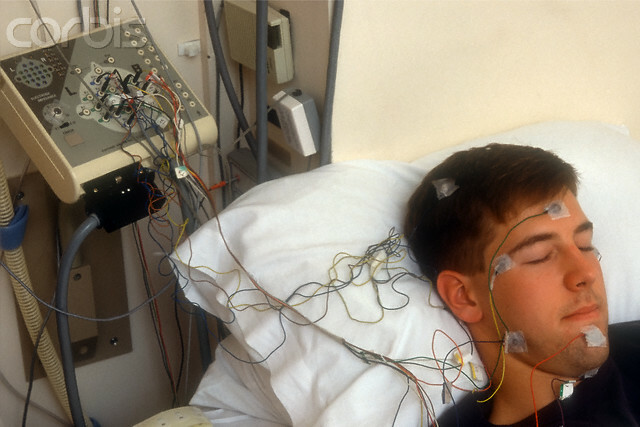 This is also not *perfectly* accurate, but neither is an EEG. As my ENT told me today (hi, Robson!) there are several different phases that can look like REM. Sleep Cycle woke me at exactly the wrong moment this morning. I was in the middle of a dream (which the Zeo was quite aware of) when Sleep Cycle went off. Which just goes to show that Sleep Cycle really is quite imprecise. It’s better than nothing, but not better than the Zeo. Of all the sleep tracking devices, my fitbit is the one I’ve used longest. Unless you count the CPAP. To use the fitbit for sleep tracking, you slip it into a wrist band, worn on your non-dominant hand, press the button (there is only one button) until the fitbit blinks START at you, and go to sleep. Pretty simple. 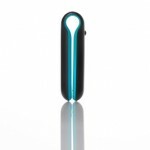 It uses the same tech as Sleep Cycle: accelerometer. As we already know, that’s a standard measuring device for sleep tracking. There are two major things that fitbit does better than Sleep Cycle. As mentioned before, I’ve been using the fitbit, the Zeo, and Sleep Cycle all together for over a month now. Honestly, I like all three. Sleep Cycle is the one I expect will be most commonly used, simply because of the price point. It costs .99 cents. That’s pretty damned hard to beat. However, Sleep Cycle is the weakest of the three trackers. (This is going to be long; skip to the bottom if you just want the bullet points). I’ve been using all three for at least a month now, so I feel like I can give them a fair shake. Let’s do a quick recap of what each one does. Fitbit – Accelerometer, used both as a pedometer during the day and as a sleep monitor at night when strapped to your non-dominant wrist (I still don’t know why non-dominant, but I’m willing to go with it). Conventional sleep labs also make use of an accelerometer. 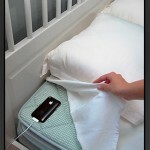 Sleep Cycle – There’s an app for that! (Sorry, I just couldn’t resist). This app for the iPhone uses roughly the same tech as the Fitbit. 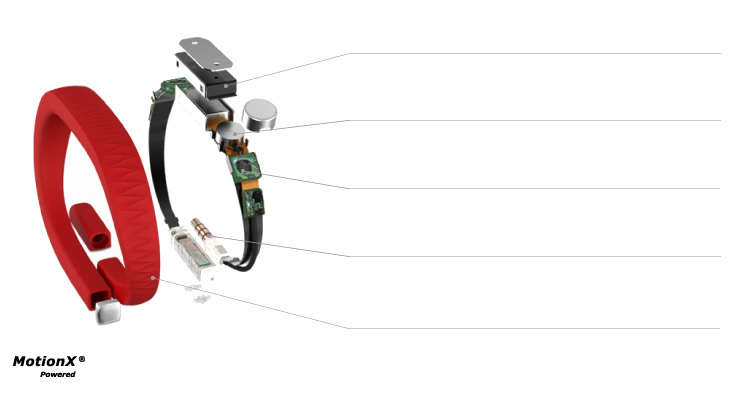 Accelerometer based monitoring. 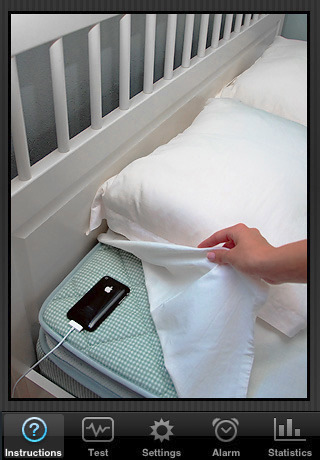 You place your phone on your bed, near – but not under – your pillow. It tracks movement via the mattress. Zeo – Completely different tech. Instead of monitoring movement, the Zeo focuses on brain wave activity to track sleep phases. The monitor comes on a headband that you wear to bed. As tech goes, this is most akin to the EEGs used in sleep labs. I had the turbinate reduction towards the end of October. We’re now about mid November, and it’s mostly healed. It’s kind of funny. You don’t think about the issue of scabs going into it. Or at least, I didn’t. I just thought about the inflammation being gone, and actually being able to breathe through my nose. And then I thought about needles being inserted into my nose. But I didn’t think about the scabs. You do get them. And they’re kinda big, all things considered. The first couple weeks, your nose feels dry. The saline solution nasal spray is a must. I had one I kept at work and another I carried in my bag. Use them freely, should you ever be in this situation. Because if your nose gets too dry, it will hurt. And the injured area will ooze. And it will crust. And that will be unpleasant, too. Do, however, keep kleenex around. 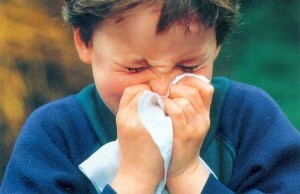 You’ll need it about two minutes after using the saline spray, because your nose just starts to drip. I’ve stopped using the saline. Doesn’t seem necessary any longer. I’m back to using my antihistamine nose spray and my steroidal nose spray. And I don’t know yet how much of a difference the procedure will make. Because of those scabs.